There’s always new and inventive ways to use Instagram pictures and Picpack jumps on the recent trend to print your favorite moments, but as magnets. The personalized printing service are 2.28” squared and come cut with the classic rounded corners familiar with Instagram photos. You select 12 of your favorite Instagram photos and it costs you 18 €, including shipping worldwide. 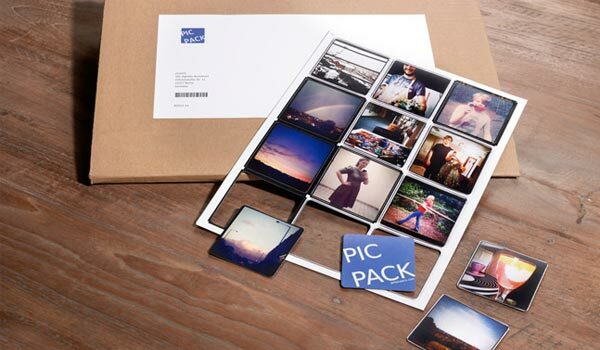 Started by Thomas Albrecht, Jakob Fricke and Tadas Ščerbinskas, Picpack is built as an Instagram magnet printing project, but is looking to extend their offering into new spaces. The founders noticed that a lot of their friends are illustrators, photographers or comic artists whom all are looking for ways to sell their work online. Picpack will be building a platform to allow for custom uploads and the enabling of public magnet packs for resell. Imagine covering your refrigerator with a 12 pack of custom sketches from your favorite artist and not just Instagram photos – that’s the hope of Picpack in the future.